Down Syndrome (also referred to as Trisomy 21) is the most common genetic disorder that affects the 21st chromosome. About 1 in every 700 babies in the United States will be born with it. But what does it actually mean? Basically, the human body is made up of cells. Inside each cell there is a nucleus that stores our genetic makeup. The genes carry chromosomes. Chromosomes determine our characteristics, such as whether we will be male or female, what color our eyes will be, or whether we will be short or tall. Most people have 23 pairs of chromosomes (for a total of 46). People with Down Syndrome have an extra copy of the 21st chromosome. This means they have a total of 47, rather than the typical 46. This extra chromosome can affect the person's course of development, as well as certain traits that are associated with Down Syndrome. Some of these traits may be small stature, low muscle tone, or upward slanted eyes- to name a few. It is important to remember that each person with Down Syndrome is a unique individual and will may possess different traits to different degrees. The truth is, people with Down Syndrome will look an awful lot like their families! It is also important to note that Down syndrome is NOT contagious, nor can it be prevented. So you can rest assured that if you or your child was born with Down syndrome, it is truly a gift. As we mentioned above, in most cases of Down syndrome, the person has three copies of chromosome 21 in each of the cells of their body. If Mosaic Down syndrome occurs, the extra copy occurs during early cell division after conception. When this happens, some cells will have T21, and others won't. 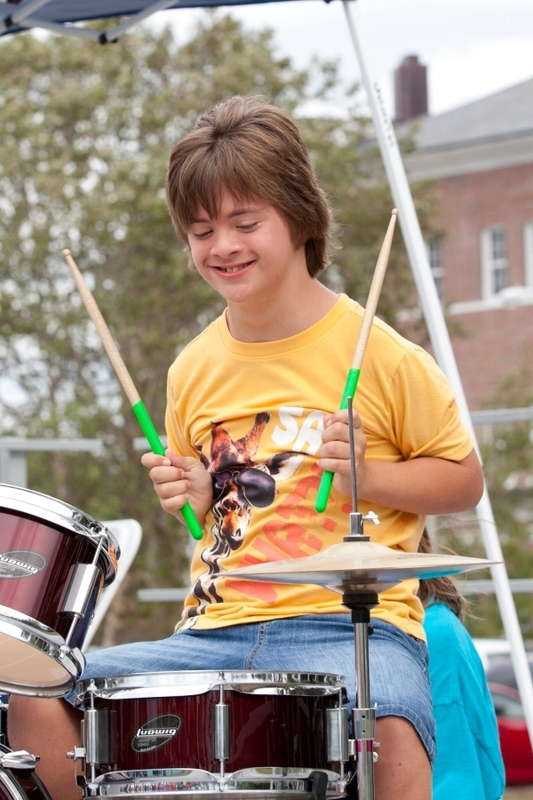 Mosaic Down syndrome may or may not have an effect on the features or abilities of the person, as people with Down syndrome can display a wide range of effects. The rarest form of DS is called translocation. In this type of T21, the extra copy of chromosome 21 is attached to another chromosome. The difference between translocation Down syndrome is that T21 is a phenomena- it is like winning the lottery, while translocation Down syndrome is inheritable and can be passed down through families. If someone is worried about having more children with Down syndrome, they should speak with a genetic counselor to learn more about their specific case. Learn more at our FAQs page and visit the National Down Syndrome Society.